Whether you need a firearm repaired, a gun built to your custom specifications, or just "spiffed up," that's what LaRocca Gun Works does... and has been doing for more than a quarter of a century. 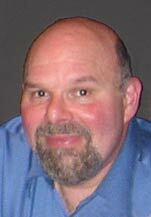 Mike LaRocca and his work have been featured in numerous articles in firearms periodicals such as Combat Handguns and American Handgunner, and is renoun for his skill with not only 1911-pattern pistols and Remington shotguns, but with the Walther "P" series and S&W revolvers, especially with the "J," "K" and "L" frame handguns. 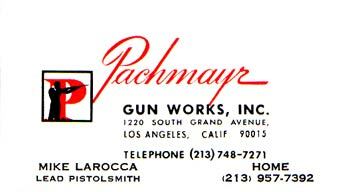 During his days as the Lead Pistolsmith at famed Pachmayr Gun Works of Los Angeles, California, in 1982 Mike was task­ed with the com­pila­tion and writing of the Pachmayr Combat Special Manual, the shop reference guide for the building of the celebrated 1911-pattern pistols which were the standard for "Combat Shooters" around the world. Returning to establish his base of operations in his native New England in the mid-'80s, Mike has for more than 20 years been operating a one-man 'smithy in Worcester, renown as much for his for work as for his support of the industry. All you really need to know is, if it goes "bang!," Mike LaRocca can repair it, refinish it or re-imagine it just the way you want it!